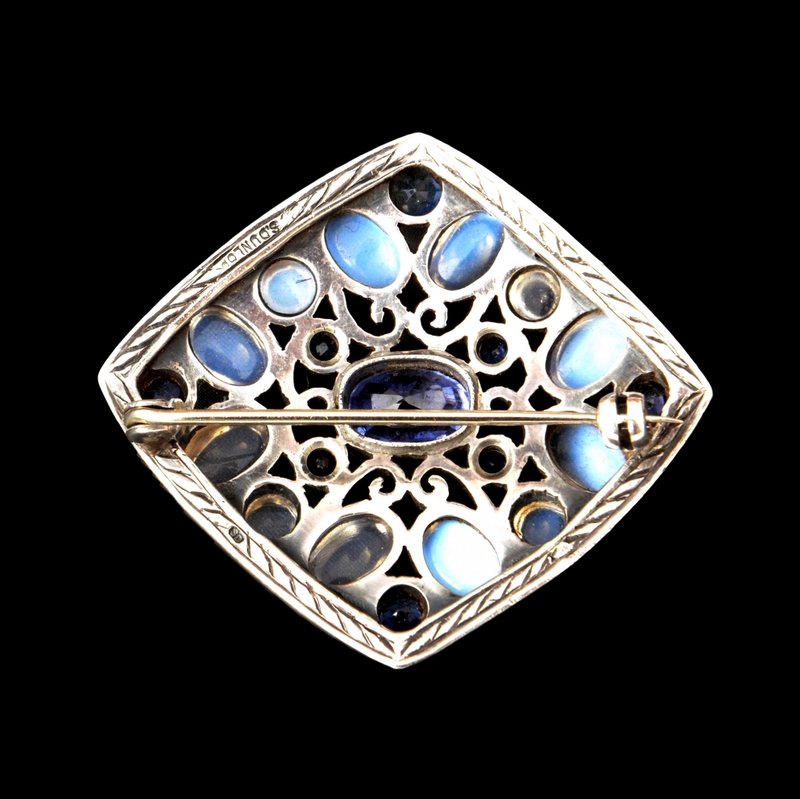 For sale is this stunning Sibyl Dunlop signed, large, brooch. 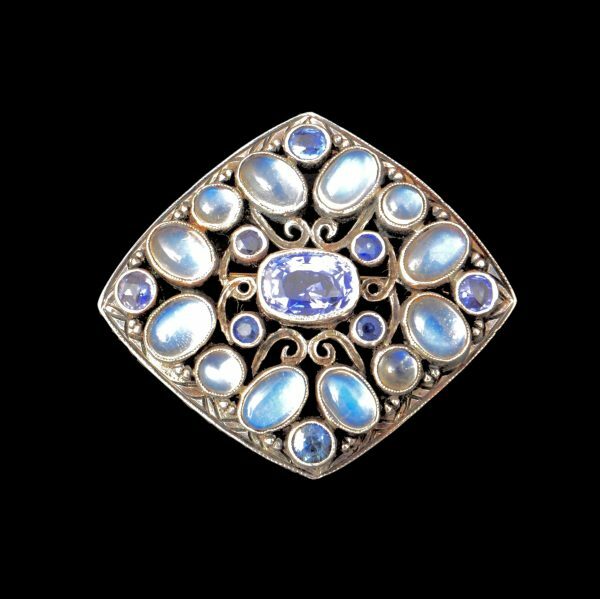 It is set with very good matching moonstones with a large central natural Ceylon sapphire. 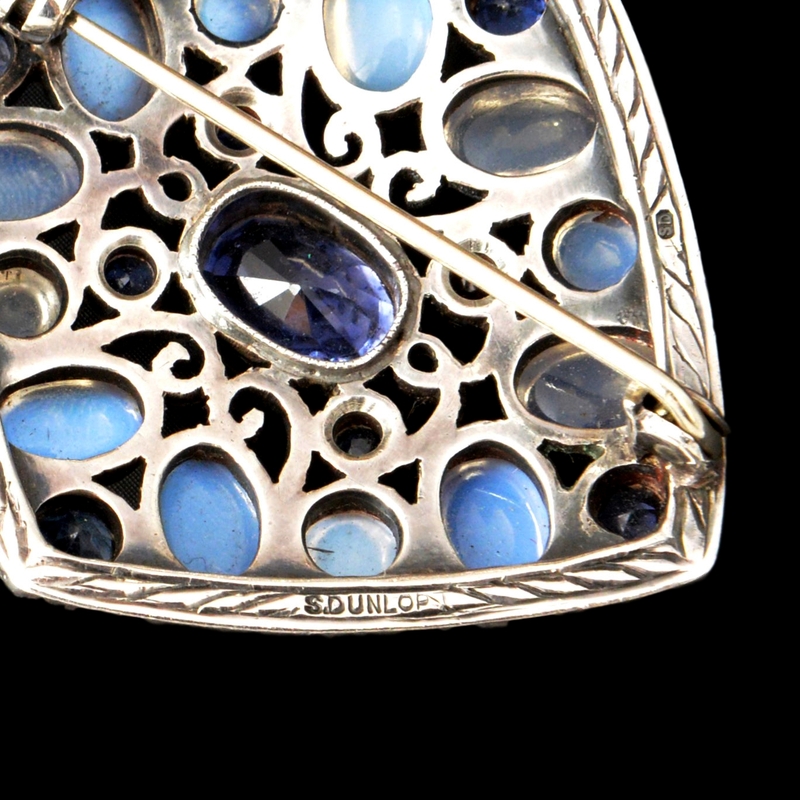 It is a really wonderful example of her work and very unusual to find a piece with gemstones and signed.